"There's a public safety imperative here," chief marketing officer Jeremy Nazarian tells Forbes, claiming the firm's capabilities are useful to help against "major public threats in any community," such as homicides, crimes against children, and drug-related gang activity. During the brief interview, Nazarian declined to offer details about how Cellebrite was able to access an iPhone 8 or iPhone X, a service it recently started marketing to law enforcement agencies. The firm reasons that providing small details about its methods would allow Apple engineers to fix any flaws in iOS' security, forcing Cellebrite to come up with new methods, so prefers to keep such information as secret as possible. "We feel an obligation to those serving the public safety mission to ensure those capabilities are preserved, to the extent that they can be," Nazarian states in defense. 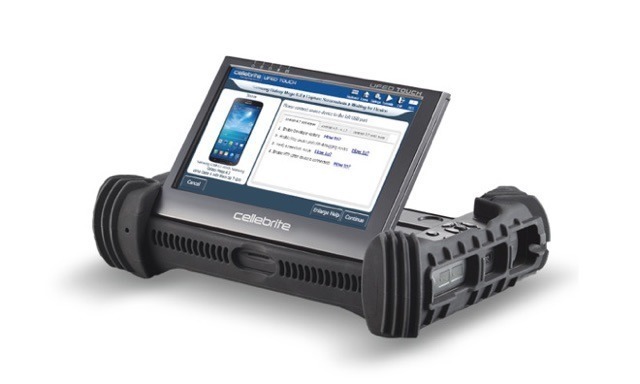 The chief marketing officer also attempted to ease fears that the same tools and service Cellebrite provides to government security agencies was not able to be used in illegal ways. "It's not like this is over the wire listening technology... it requires physical access. It's not like anyone is listening to your iPhone or my iPhone," advises Nazarian. "There's nothing inherent in the technology that means it's open to misuse." The comments from Nazarian arrive one week after the security firm reportedly saw a year-on-year increase in revenue, jumping 28 percent in the fourth quarter of 2017 compared to the same period in 2016. While not explanation for the rise is advised, it is most likely Cellebrite's raised profile following its involvement in the San Bernardino investigation has helped it gain more custom from government agencies.